Deus Ex fans will be excited to learn that a new game from the franchise is in the works. Game Informer landed the exclusive after spending a couple of days at the game’s development studio, Eidos-Montreal. Here’s everything they had to say about Deus Ex: Mankind Divided. The game is set in 2029, just two years after its predecessor, Deus Ex: Human Revolution. It’ll once again be centered on protagonist Adam Jensen as he joins a task force instructed to find and capture augmented terrorists. Our hero has a new suit of augmentations to assist in various scenarios. For example, Jensen is now able to remotely hack electronic objects, surround himself with a nearly indestructible nanoshield and shoot his nanoblade from a distance. As before, how you go about progressing through the game is totally up to you. That’s good news because this iteration is said to be the most open-ended yet. By all accounts, publisher Square Enix had big plans for Human Revolution’s reveal including this ongoing (as of writing) Twitch stream that shows a man locked in a dark cell. Unfortunately for the publisher, NeoGaf managed to somehow find and leak details about the game. Shortly after, Game Informer revealed the title as its May cover story. 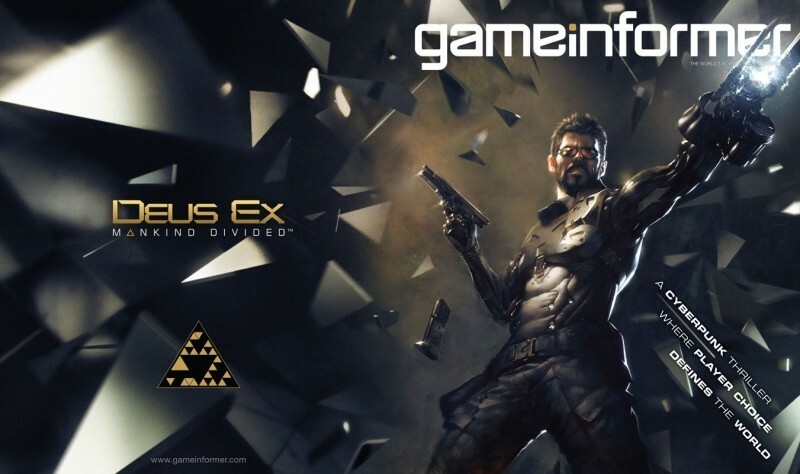 Deus Ex: Human Revolution is being developed for the PlayStation 4, Xbox One and PC. A release date hasn’t yet been revealed.